You may have noticed a running theme my “Health Habits of Happiness” series. We first talked about the power of eating until you’re only 80% full, what’s called “Hara Hachi Bu” in the Okinawa, Japanese culture. 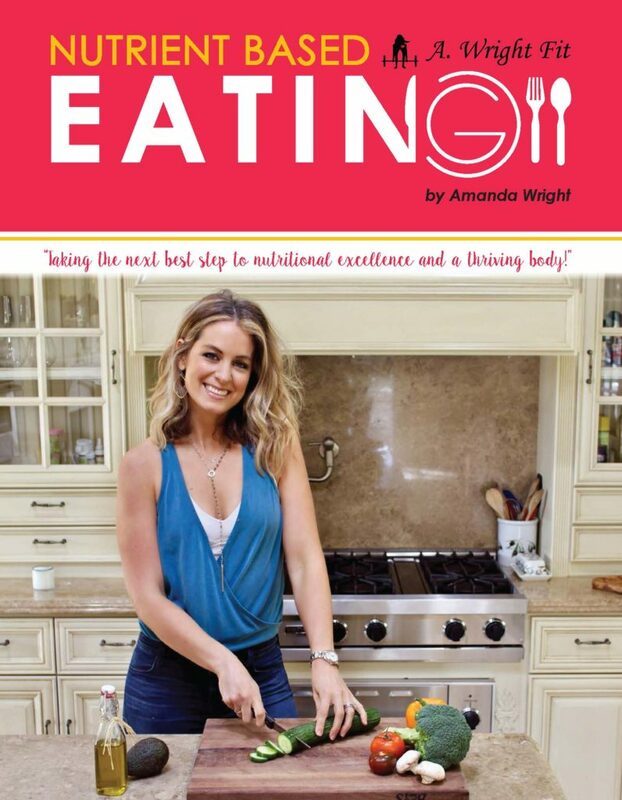 Then we talked last week about 3 ways to eat with 80% moderation instead of trying to be perfect or taking too drastic nor too relaxed of an approach to implementing good nutrition habits. This week, we continue in the same vein with a habit that actually blows the other two out of the water when it comes to it’s significance in your eating. When it comes to your eating, your MINDSET matters more than the meal itself. 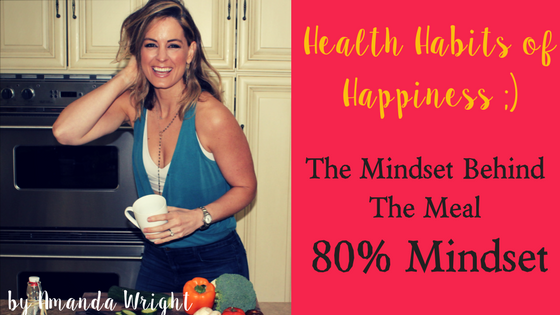 In fact, good nutrition and a healthy thriving body is all about 80% MINDSET and 20% circumstances or food. This is proven not just in an “ethereal” or “metaphorical” sense, but scientifically and physically. Studies are showing that what we THINK in our MIND develops physical structures in our brains, namely, neurons (brain cells). It has been proven that the quality of our thoughts will have a grave impact on the quality of the neurons. Thoughts that focus on more negative, fear-based thoughts create structures that have a WIDELY different epigenetic effect (meaning that they turn on or off a different expression of our genes) than thoughts that are focused on positive of loving thoughts. It is incredible! This being said, when we relate this information to learning to eat a LIFESTYLE based approach to health, making consistent choices in healthier, holistic foods, choosing the right habits to focus on and committing to them for the long haul (i.e. avoiding the all-or-nothing trap), and the biggest desire which is to learn to actually ENJOY eating in these ways is ALL ABOUT THE MINDSET and less about the food itself. 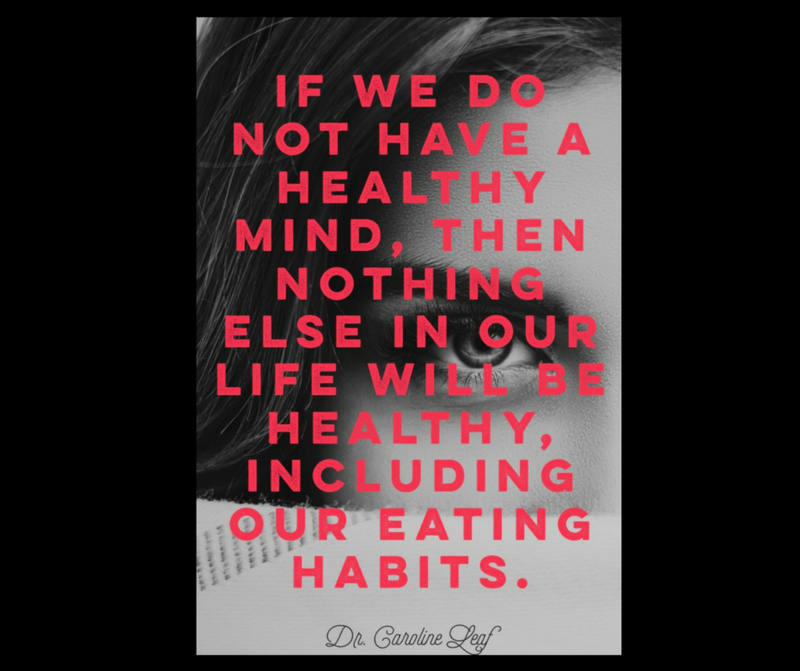 So, for this habit, let’s get real about how we can take actionable steps toward building a WISE’her MINDSET in health. It’s amazing how many people think they are being intentional with their health but are actually mindlessly allowing bad habits to rule them. You will not improve any part of your health by accident, it can only be done by intention. One of the best stories in the Bible of Jesus healing a man who has been an invalid for 38 years. This question is astounding to me. In so many ways we think…OBVIOUSLY this poor man wants to get well, Jesus?! Isn’t they why he’s been at this well for so long? Hellloooo!? Have you been so caught up in your “dieting frenzy” and this "health hustle" that you’ve lost sight of what true health is all about? Are you procrastinating or unwilling to give up certain foods or do uncomfortable things, like exercise? Are you spending all kinds of crazy time at the gym but not seeing any results because you can’t control what you put in your mouth? Do you secretly enjoy getting to complain or boast about how “healthy” you’re being, but on the inside you’re still miserable? So, do you want to get well? Do your life choices indicate that you do? If you truly INTEND to be well and get healthy on the inside AND the outside, then you have to get your MIND RIGHT. No more extremes. No more self loathing. No more complaining about healthy food and how much you hate it. The mindset toward change is quite interesting for the human psyche. To me, there are two types of people that struggle to fully embrace the habit formation principles of my Nutrient Based Eating program. The “Start Resistant” types equate change with pain. So they don’t want to change anything about their eating because they want to avoid that pain. If you are “Start Resistant” you will procrastinate and find excuses and will continue to convince yourself “things are just fine how they are,” except that they’re not. You will start to wear the consequences of that delay with unfortunate effects like weight gain, concerning health issues, or more. The EMBRACE mindset for you is to start changing your mind about change being painful. You focus on the OUTCOME more than the discomfort at the beginning. Repeat that in your mind and you set the new habit goal. Visualize the success and dive in! To sooner you start, the sooner the pain will fade. The “Finish Resistant” types have the shiny object syndrome. You love new habits! You get a thrill over new ideas or goals, but once that “newness” emotion wears off, you fade away and quit before a true habit can be formed. The problem here is that you become busy without being productive. It’s exhaustive and unfruitful. When you don’t see true progress, you start to doubt yourself. Your EMBRACE mindset for you is all about changing your mind about needing to feel emotionally motivated to finish. You have to push past those fading emotions and continue implementing your habits so you finish it to completion. Focus on a reward and tracking system that will help stay the course. If you find another habit you want to work on along the way, simply sideline that habit for later. There is plenty of time to do it all, but not all at once. With my Nutrient Based Eating program, or any holistic eating program, you don’t have to like every kind of whole fruit, vegetable, grain or sustainably raised animal product….but you gotta like quite a few to get a balanced diet that your body deserves. You not only have to get over the “diet mentality” where you think it has to be painful or extreme to be effective (alert, it doesn't!) but you have to actively choose to ENJOY this way of eating so you can do it for LIFE. You MINDSET has greater pull than your tastebuds or olfactory senses do! You can choose to enjoy any and every kind of food when your heart knows that you are doing what is RIGHT for your body, to honor God, and to be a light of influence to your family and friends around you! Now THAT is something to be JOYFUL about! This guide will help educate you on how to get more Vitamins and Minerals to BOOST your energy and make you feel amazing! ← 5 Nutrient Based Eating Recipes I’m Going Nuts On!